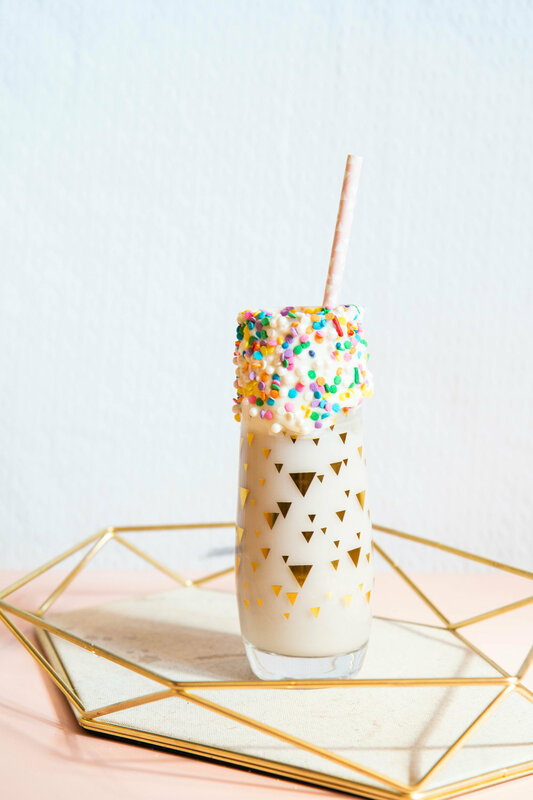 This simple cocktail is the perfect birthday drink for your friend with the biggest sweet tooth! Its very simple ingredients and cute presentation might just be your next go-to dessert option. Watch the video for the easy step by step! 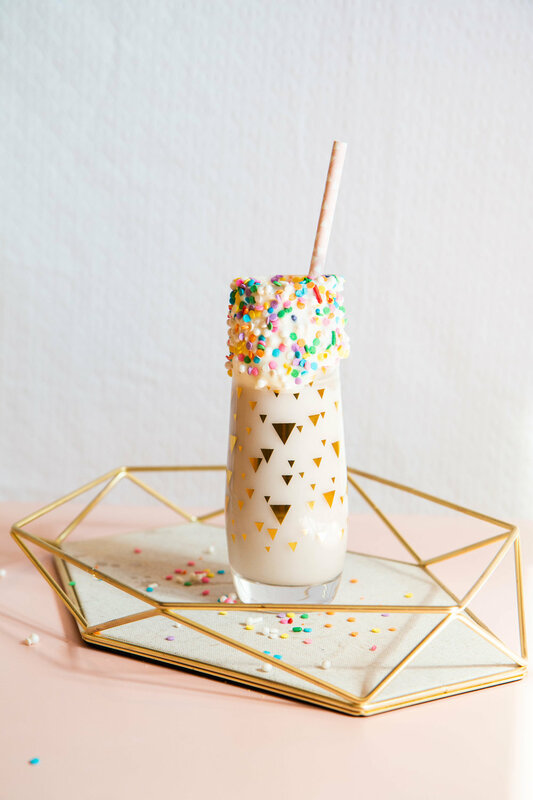 All you need is cake flavored vodka, your favorite milk (we chose vanilla almond! ), white chocolate, and rainbow sprinkles. Melt, dip, mix and SIP! PRAISE BE.... It's Time for Halloween!